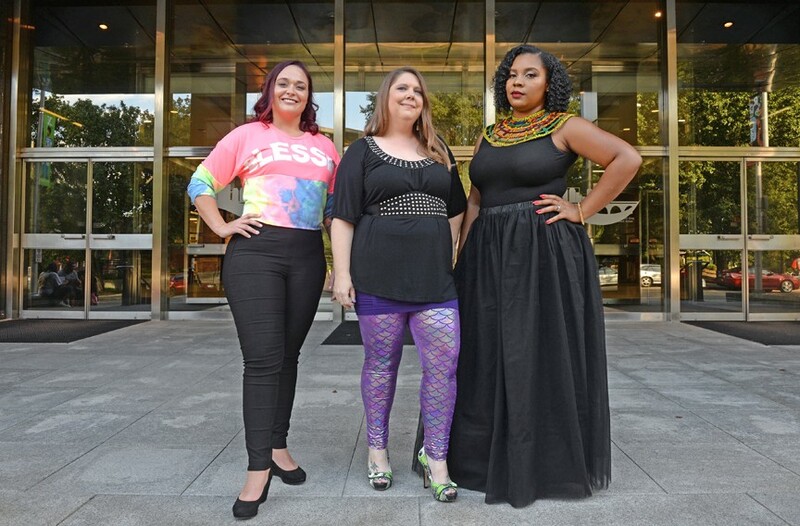 RVA Dirt Girls: Jessee Perry, 29, Melissa Vaughn, 39 and Francesca Leigh-Davis, 31 | Cover Story | Style Weekly - Richmond, VA local news, arts, and events. Don't call them citizen journalists — they prefer to be called activists, watchdogs — or simply commentators. But what the RVA Dirt Girls are doing, by individually tweeting all the details of City Council meetings and forums (@RVAdirt), is helping to engage people in local government, while highlighting topics that often don't get coverage in the media. Also they provide context for long-running Richmond issues through two popular radio shows on WRIR 97.3 Richmond Independent Radio. Their show "Municipal Mania" airs every Wednesday from 11 a.m. to noon and they do a Quick and Dirty City Council roundup segment on "Open Source" that airs every other Friday after council meetings. 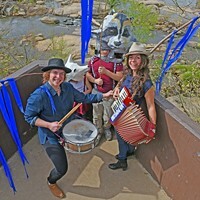 Their own podcasts are archived at their website, rvadirt.com. 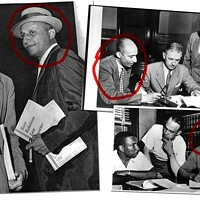 Each member has a specialty: Perry is the detail-oriented researcher who does deep digs into topics; Leigh-Davis is considered the political insider with old-guard connections through her work in the NAACP and the Crusade for Voters; and Vaughn is a history buff with a background in show producing. "More of a feel-good lady on the streets," she says with a laugh. "It's not so much about breaking stories, it's about teaching people civics basically, what they don't know," Vaughn says. "It's unbelievable what they don't teach you in school." Since they started, Perry says they've seen more people attending council meetings. She adds that while tweeting the meetings, the RVA Dirt members take different approaches to coverage, adding context in real time. "Someone might add in something you couldn't see on TV, like Mike Jones eating gummy bears while someone's complaining [about that]. It's different from what newspapers are able to do."" 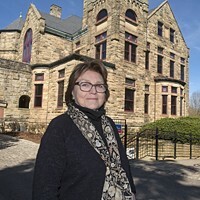 For the radio show, Perry notes, "We go into longtime racism, or are critical of things that happened in the past to help people understand how we got here," she says. "I get the off-the-record dirt," says Leigh-Davis, "separating what's on the rumor mill and what's really happening. We don't like to call ourselves journalists because that's an automatic turnoff for people willing to share information. We're not doing this for a living, it's us volunteering and getting information out." For example, she says, "nobody needs to know which council members are sleeping with each other, but that makes a difference in our minds when we're reporting how people are choosing to vote. But it's not something that Richmond needs to know." Their audience hits a lot of demographics: from high school kids on Twitter to middle-aged radio listeners, to a group of elderly folks who hold a party and catch up on the podcast. Currently they have nearly 3,000 people following them on Twitter and their archives are among the most popular at WRIR. Politicians are getting involved as guests, too — Mayor Levar Stoney, Richmond School Superintendent Jason Kamras, council members Parker Agelasto, Mike Jones and former member Chuck Richardson, who was involved in an interesting recent episode that looked back at The Richmond Times-Dispatch's coverage of his heroin arrest. "Black drug users were so stigmatized then, as they are now," Leigh-Davis says. "He became addicted in Vietnam. When he was arrested, the RT-D ran a caricature of him looking doped up, with a pre-written address for him at City Hall and a cutout from the paper [for angry readers to write a message to him]. So we've been trying to track that issue down from their archives. [Richardson] said boxes-upon-boxes of comments were mailed to him." Leigh-Davis recalls that when RVA Dirt Girls first started, a lot of naysayers said it would never work or wouldn't matter. "It's been a challenge to ignore those voices and do something we enjoy and know is valuable," she says. "People listen, even if they hate it. And it starts many a debate and discussion." Looking ahead, they would love for other tweeters to join them — to have an RVA Dirt member in all nine districts, so coverage of meetings could be more widespread. "Our main goal is to make it so we're obsolete," Vaughn says.